The brand new Embrace Cards website has just gone live! I was one of two illustrators designing cards for the launch of the brand - which focuses on LGBT greetings cards to include everyone and push for positive change! 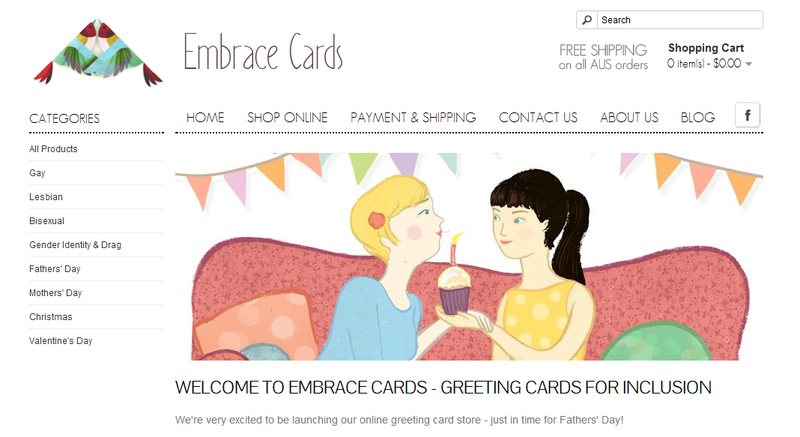 Go and take a look at www.embracecards.com (and hey, why not buy a few?). They have a fantastic ethos and were wonderful to work with.